The Soviet Union did not operate concentration camps, rather they operated hard labour camps called "Gulags". The term “Gulag" is an acronym for the Soviet bureaucratic institution, Glavnoe Upravlenie ispravitel'no-trudovykh LAGerei. In western terms this means "Main Administration of Corrective Labour Camps". This bureaucracy operated the forced labour camps in the Stalin era. Attempting to condense and summarise the experiences in the Gulags is simply not possible, however this page is an attempt to briefly overview typical life for a deportee. 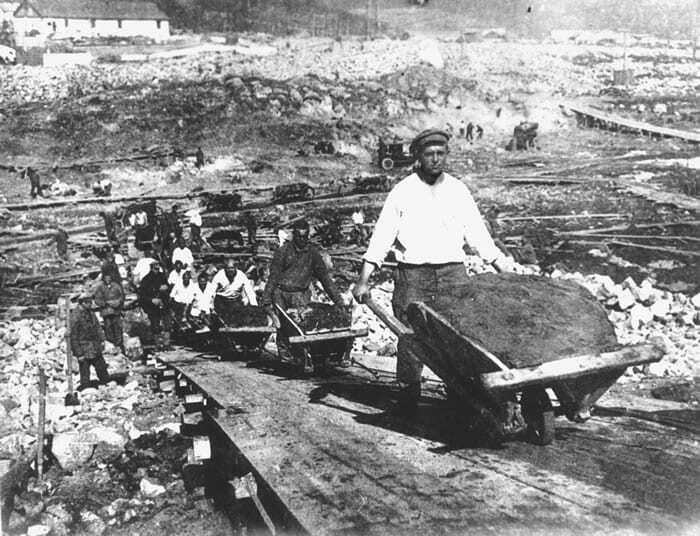 The Gulags were hard labour camps that consisted of forestry, mining, quarrying, laying railway track for the trans-siberian railway and other had labour tasks. Few, if any of the deportees would have been accustomed to this work. The working day started very early and would last 16 hours or more. Food was scarce, stealing another mans food could cost you your life. Meantime the housing was poor quality with little heat, the sanitation very poor and the whole housing unit was overrun with lice, bedbugs and all manner of winged creatures. With inhuman conditions, no medical care, a poor diet coupled with constant fear it is no wonder that health rapidly declined. People died all around you, sometimes the bodies were left for weeks in the snow before being buried, mainly so that the soviets could make the point that you were expendable. Another condition many suffered with was night blindness along with all manner of illnesses related to malnutrition. Sheer cold. Cold that penetrates your bone marrow was the least of the deportees worries. Survival was not just a daily aim, sometimes it was even hour by hour, minute by minute. From nits, lice and fleas to mosquitoes and all manner of winged flying insects would suddenly appear in the summers. These flying devils would literally eat you alive and make you itch no end. It was living hell. Sudden and very hot gusts would blow causing dust to fly everywhere making breathing extremely difficult. Between the lice in their beds and the dust outside there were few places one could comfortably be. In the soviet gulags very few were executed or killed. It was a well known fact that life expectancy in a gulag was one winter, so death was inevitable. 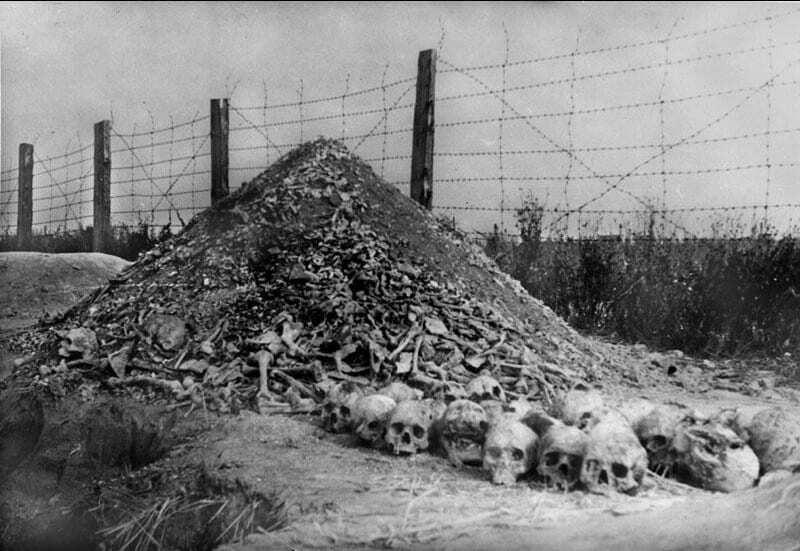 Even though very few poles in the gulags were directly killed by the Russians, by being part of the machine that uprooted poles and placed them in a known environment that would kill within a year Russians certainly were very guilty of killing poles. Yet no war crimes trials have ever taken place on the matter. As health declined in the gulags, various phrases were used, peculiar to the gulags, to describe their state. Starting with "going to see the Great White Bear" (being sentenced to Siberia) as health declined to the point of death terms such as Fitili (wicks) were used to describe life i.e like the wick of a candle about to be extinguished. The Russians had their own word for this "Dokhodyagi" meaning to reach or attain i.e to reach the death stage. As health declined from starvation all manner of ills would present themselves such as; scurvy, pellagra, vitamin deficiency and more. Teeth would fall out and all manner of skin problems were visible. As death crept closer those suffering these ailments would become almost dehuman with loose grey skin, walking around ranting like madmen and scavenging on anything that was vaguely edible, even garbage. unable to control their bodies they would frequently urinate themselves or soil themselves. They ceased washing and ceased reacting in ways humans normally would. The final insult was that many of them died without ceremony or even any record being kept. Who were they? We shall never know. Editors note: My own grandfather became schizophrenic and had many strange behaviours during his life. Having witnessed scenes like this, no wonder! This is just one of the reasons your polish relative may never have talked about their experiences. Even well into the 1940s the world knew little of what had happened in the gulags. It was only once General Anders led an entire nation out of the USSR that the stories started to emerge. Onlookers would stare with disbelief, struggling to beleive that such atrocity could occur. One of the first nations to become aware of this was Persia when the Polish Evacuees from the USSR landed on their shores in a horrendous state of health and wearing rags that had to be burned to contain disease. Want to Learn More About The Soviet Gulags? We can never comprehend the suffering our fellowman went through in the Gulags. But we cannot ignore it, we MUST read about it, tell others about it and learn from it, for to ignore it would be to risk repeating history.